A fire to your home or business is one of the most traumatic events of any person's life. You are most vulnerable immediately after you have lost your home or business to a fire. The insurance company may seem to care about you and your loss, but keep in mind that what the insurance company really cares about is saving money for its shareholders. You need someone to represent your interests and to care about your needs. Whether it is making sure that the monetary value of your property is properly evaluated, that your insurance contract is correctly interpreted, or that the cause and origin of the fire is accurately identified, the Pousoulides Law Offices will help you through the insurance claims process. The most frequent damage from a hail storm is damage to aluminum siding and roofs. Insurance companies will tell you that they only owe for the damage caused by the Hail Storm. But many homes that are damaged by a hail storm are over 10 years old. And many times the aluminum siding that has not been damaged has been weathered over time. So when the insurance company only replaces the damaged aluminum siding, many times the new aluminum siding does not match the color and texture of the old undamaged aluminum siding. Ohio law requires the insurance company to provide a "reasonable comparable match" between the new and old aluminum siding. If they can not provide a reasonable comparable match, the insurance company must replace all of the aluminum siding. The same analysis applies to roof shingles. Roof damage is a common damage from a wind storm or tornado. Insurance companies will tell you that they only owe for the damage caused by the wind storm or tornado. But many roofs that are damaged by a wind storm or tornado are over 10 years old. And many times the roof shingles that has not been damaged has been weathered over time. So when the insurance company only replaces the damaged roof shingles, many times the new roof shingles do not match the color and texture of the old undamaged roof shingles. Ohio law requires the insurance company to provide a reasonable comparable match between the new and old roof shingles. If they can not provide a reasonable comparable match, the insurance company must replace all of the roof shingles. Water (Flood) Claims and Back-Up of Sewer or Drain Claims are other claims that homeowners and business owners can make with their insurance company. Many times a homeowner will purchase an endorsement for "Back-Up of Sewer or Drain" which should provide coverage for back-up of water or sewage into your basement. Even if you do not have such an endorsement, your individual policy may provide for coverage for such damage. In some cases, you may suffer damages in excess of the limits of your endorsement and the insurance company will limit its payment to those limits. However, there may be other parts of your insurance policy that will provide additional coverage for your loss. Your insurance policy is a product of the insurance industry. An insurance industry that will hire experts to create an insurance policy that the average policyholder could not possibly understand. It is possible you are leaving money on the table because you are missing available coverages within your policy. It is so important you forward to us your insurance policy so we can review the insurance policy to make sure you are receiving the money from all of the coverages available under your insurance policy. A business can face a financial death as a result of a fire loss or similar type of destructive loss to its place of business. A business interruption claim will allow you to make a claim for the business income loss that you suffered as a result of the fire. You are permitted to make such a claim for the "period of restoration." In general, the "period of restoration" is the time that it normally would take to rebuild your property so that you can resume business. 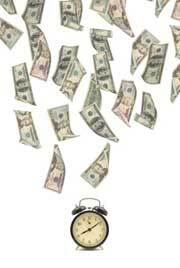 The insurance company will attempt to limit that time period so that it can minimize its payment to you. Many times the period is longer than what the insurance company will recognize because of delays in the adjustment process, delays with contractors, bad weather and lack of funds on the part of the policyholder because they just sustained a life altering event. Also, many times the formula for your business interruption claim will be outlined in the policy. It is important you forward to us your insurance policy so we can review the insurance policy to make sure that the proper formula is being used so that you can received the maximum benefits from your insurance policy.